Large aperture L-Series standard zoom lens that combines high imagequality and enhanced durability. New optical design utilizes 1 Super UD lens element and 2 UD lenselements to minimize chromatic aberration in the outer area at wide-angle; as well as eliminates color blurring around the edges of thesubject, for images with high resolution and contrast. Combines 2 types of aspherical lenses to reduce spherical aberration,and achievehigh image quality across the entire screen area andthroughout the full zoom range. Highly resistant to dust and water, enabling shooting even in harsh andrigorous conditions. Optimized lens coatings ensure exceptional color balance whileminimizing ghosting. Fluorine coating on front and rear lens surfaces reduces smears andfingerprints. Zoom lock lever locks the zoom position at the wide end for safetransporting. 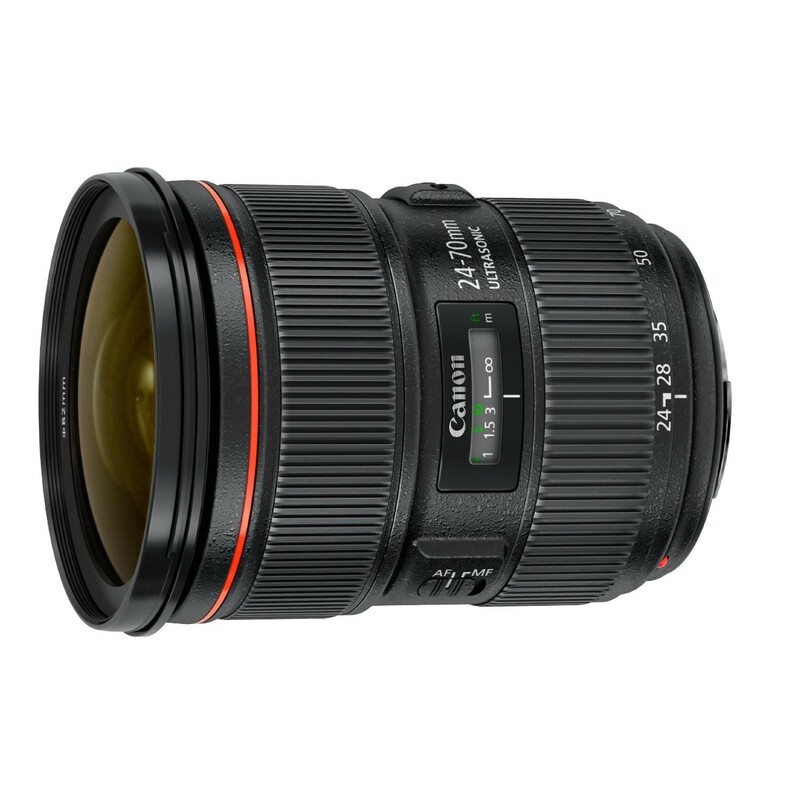 The EF 24-70mm f/2.8L II USM is a completely redesigned optics to provide exceptional clarity, image quality and durability. It’s compactness makes it ideal for carrying on everyday shooting. A range of optical refinement provide improved performance for capturing greater detail across the frame while minimizing distortion throughout the zoom range, particularly at the long 70mm focal length. Its optical system includes two Ultra-low Dispersion (UD) and one Super UD aspheric elements to reduce chromatic aberration and colour blurring, the lens delivers consistently high-contrast, sharp images. To ensure excellent colour balance reduce ghosting and flare – each lens element also features Canon’s optimised Super Spectra coatings. A fluorine coating minimises the amount of dust, dirt and fingerprints that adhere to the front and rear of the lens, helping to achieve high image quality. 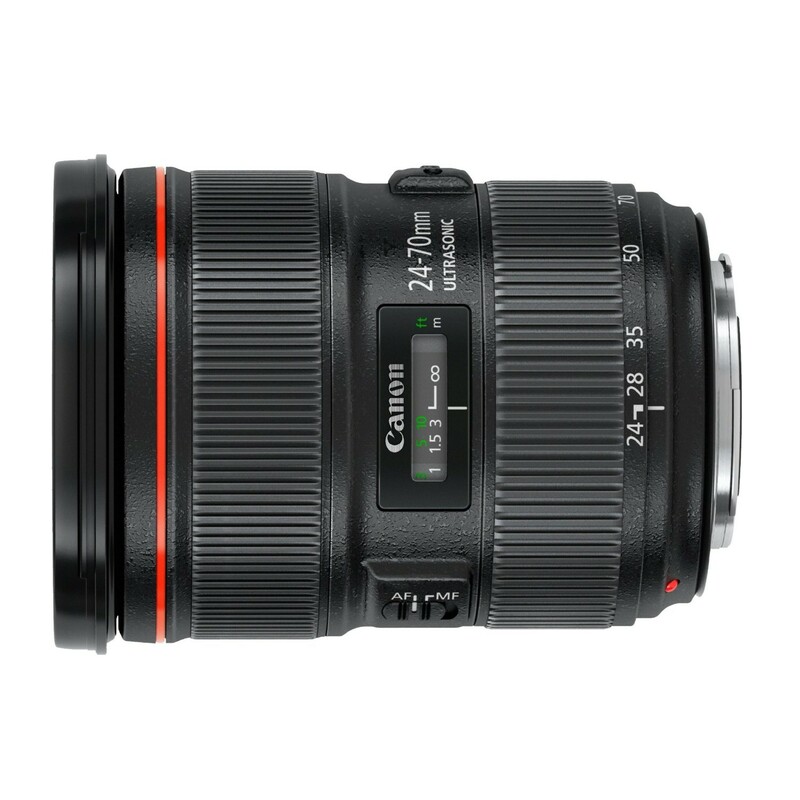 The EF 24-70mm f/2.8L II USM also designed to enable photographers to capture their subjects up close with a minimum focusing distance of 0.38m throughout the entire zoom range. Use of a ring-type Ultrasonic Motor (USM) with the help of high-performance CPU and advanced AF algorithms to ensure accurate, silent and responsive autofocus. A full-time manual focusing allows photographers to precisely tweak or alter the focus of their shot even when AF is engaged.